When I’m standing in line at the grocery store, how I do, and the checker looks at me with that pitiful smile as Jemma chatters about the chocolate popsicles I was pressured into buying (yes, I’m easily swayed by all 3 year olds who say “please” and bat their eyes) and Max bites through a banana peel (yes, this is pure truth) I need a tee shirt that adequately explains my life. You know, so I don’t have to waste my precious breath explaining things. Lord knows I need to save all my breath for prayers and prayers alone. I love being a mom. We all know that. That’s usually what I blog about. But I’m tired too. Just like you. If it’s not from lack of sleep, it’s from a mile long to do list or … or … or … I can’t even communicate what else. BECAUSE I’M TOO TIRED TO COMPLETE A FULL, COHERENT SENTENCE. (Excuse my type yelling, it just seemed necessary). As does this. It’s what I wear to deter the checker from too many questions. Questions about the melting popsicles and the slobbered bananas. Thanks to Thug Life Shirts, instead of random banter and questions with no answers, we just laugh, scan my items, load my bags and then I get waved off with a chuckle and stickers for my crew. Oh, happy day! I sport my Thug Life in more places than just the grocery store though. That’s right – I’ve got Thug Life three ways for you today! 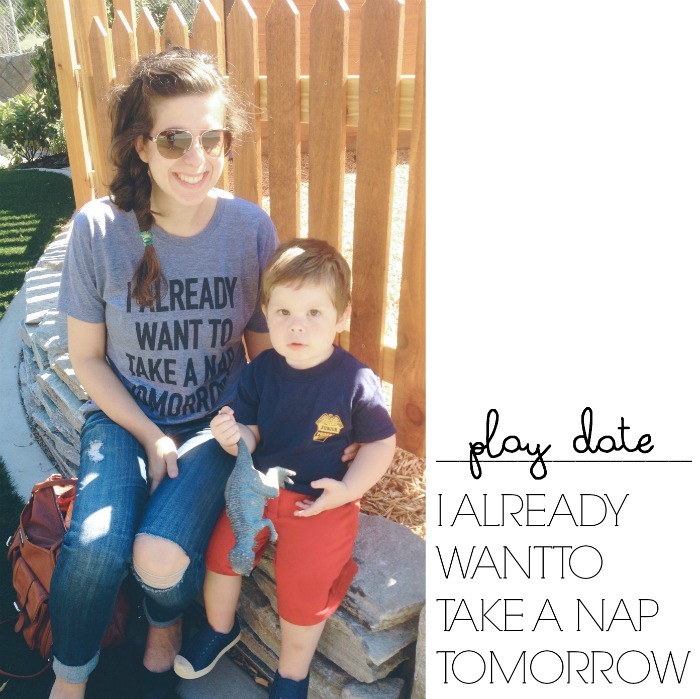 Appease my mom style with a gander at my night off, my play date and my date night outfits — all featuring my favorite “I Already Want a Nap Tomorrow” tee! 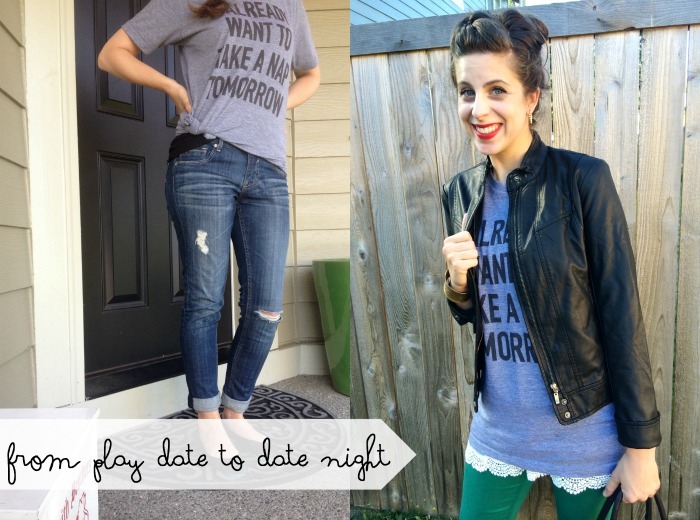 Are you surprised at the versatility of this simple tee? Me too! Thug Life prints on American Apparel tees – read, SO COMFY – and they have just the right amount of stretch for a vintage feel. Pretty much, you can’t find a better tee. Best of all, use code code “MAMAGRETCHEN15” for 15% off your order. That’s proper savings for a pressie for yourself AND to think ahead to your mama friend’s birthday and Christmas gifts! This (at least I try), this (truth), and this (sarcasm at its finest). Fabulous and perfect for putting that coupon ^^^ to use! Amiright? Thanks to Thug Life Shirts for sending me a complimentary tee – I love supporting companies that totally get motherhood! Happy Birthday to Me + a Lily Jade Giveaway! That shirt is my life…every. single. day. hahaha! Yay Coupon!! I was hoping you'd have one!! Hilarious. 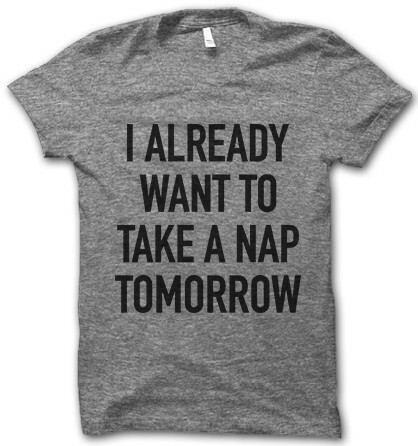 This t-shirt totally sums up my life right now! 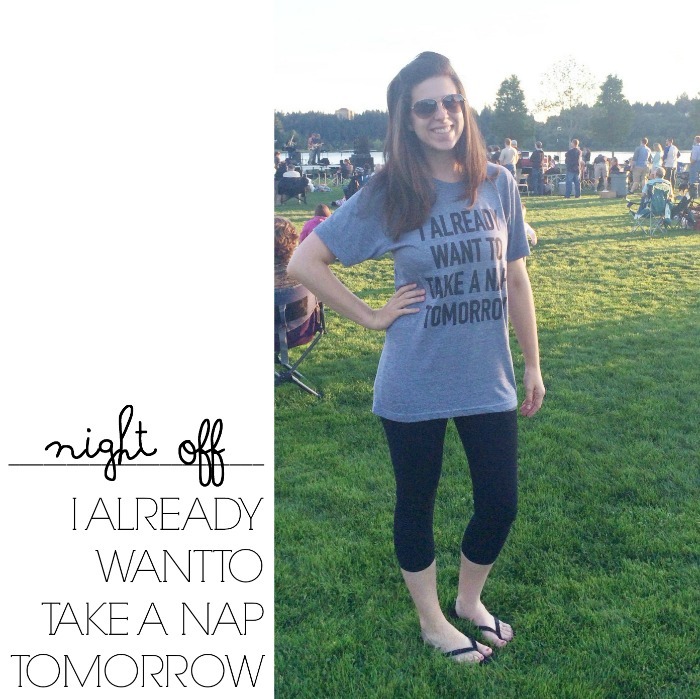 Haha I LOVE the saying on that t-shirt. 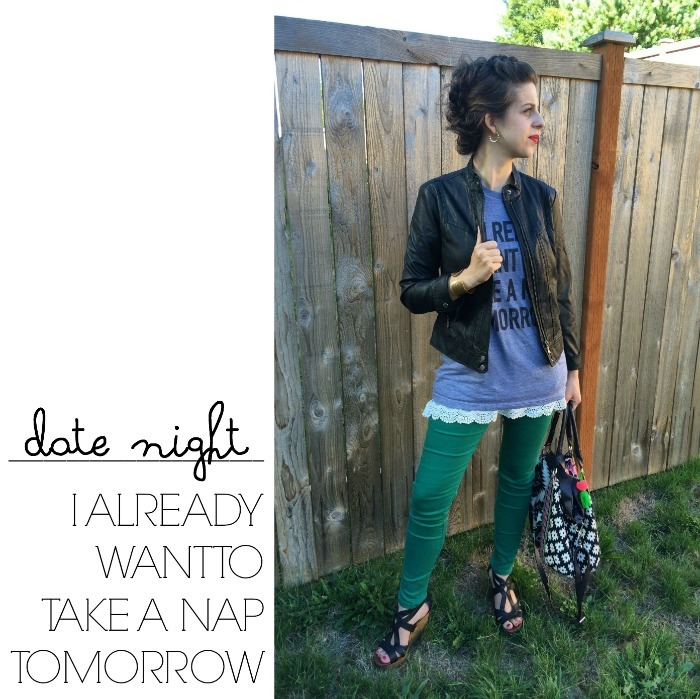 Sounds totally like me :) I really like your skinnies from Stitch Fix too. It’s such a rare color to find. I really want to get started with Stitch Fix but I’m still deciding between it and other (mostly beauty) services like Birchbox, Ipsy and Vain Pursuits. Do you have any opinions? Thanks! I haven’t done a beauty box before – I’m kind of picky about colors and hate to get a lip gloss that I’d never wear, so … I stick with clothes since I can send back what doesn’t work for me :) You’ll have to let me know what you end up liking! I’ve never even heard of Vain Pursuits!